A desperately poor labourer in the village of Lashorst, in addition to his great poverty, had to feed an extraordinary number of mice. These mice were vermin rather than pets, so it is far from clear why the poor man felt any obligation to provide them with food. One evening his wife lay down with their child, about three years old, and gave her a crust of bread to help her sleep. 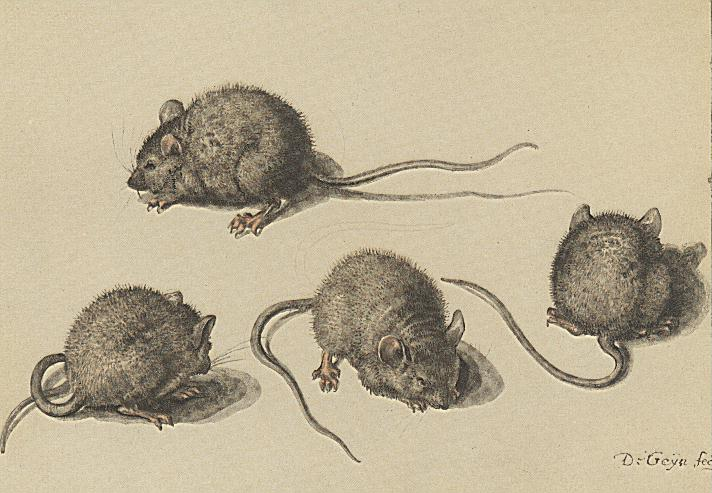 The mice, greedily seeking food, used to run around on the bed. One of them found some more breadcrumbs in the open mouth of the child, who had fallen asleep. By venturing too far it caused the child to wake up and shut her mouth, leaving the mouse no way out except downwards through the throat and into the stomach. The child screamed – naturally enough – and indicated to her mother that a mouse had got into her mouth. She started to choke violently, and vomited blood. Doubled up in pain, she clutched her abdomen. The pain continued in its violence for two hours before subsiding, although the patient’s ease was still interrupted by choking and vomiting. The next morning the doctor was called, and he administered milk and other mucilaginous substances, although he doubted the story he had been told. After twenty-four hours, a large, crushed, hairless mouse, covered in mucus and blood, was ejected from the bowels. The child was ill for a long time, since her digestive organs had suffered greatly, but did not die from the consequences of the incident. Which, if it is true, is quite a story to tell the grandchildren. In 1876, the “Illustrated Police News” carried a story where they described (in quite graphic detail, naturally) how a young man died after swallowing a live mouse! Horrid for the child. I can’t even imagine such a thing happening. Might the “have to feed” be a translation error? I am Dutch, so German is not my first language, but I remember from German lessons in high school the difference between “müßen” and “sollen”. ‘Sollen’ is more like ‘have to’ and ‘müßen’ more like fate (“Er müss sterben”.) So maybe the laborer ‘müsste’ feed the mice. You may be able to correct me here, but I think it would be more accurately rendered as ‘…despite his great poverty also had an enormous number of mice to feed.’ That diminishes the sense of obligation that was implicit in my original.